16. If you use obsolete software, don't advertise that. 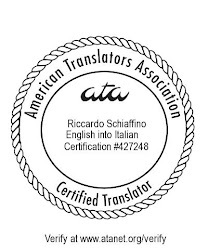 I've just received a message that, among other things, proudly announced that this translator uses as software tools Microsoft Office 2007 suite, Adobe Acrobat 9 Standard, and Trados Studio 2011. Office 2007 is nine years old, and Microsoft has since released three new version: 2010, 2013, and 2016 (and also Office 365). Studio 2011 is five years old, and has been superseded by two new versions: 2014 e 2015. If old programs still work for you, fine, but don't highlight the fact that you are not updating your software: to a potential customer this suggests that you might not be able to handle newer file formats, and also that your system might not be fully protected against malware (if you are still using software that old, it might be reasonable to assume that your antivirus or firewall also is not up to date). Maybe you religiously update all your antimalware, and keep using old programs because they just work. If that is so, and still want to say that you use certain programs, don't mention the actual version number, and just say you use Office, Acrobat and Studio. You won't be actually telling a lie, and your prospects might assume that you are using the very latest versions of each program. A better option, of course, would be to keep your software up to date. Wow! Great to know...You're my hero today - thx a lot! Looking forward to next great tips! I completely agree with it. Why mentioning the version you use, just mentioning the name of the software is enough I guess.